The Port Washington Police District’s priority is keeping Port Washington the safest place to live, work, and play. I am extremely proud of our employee’s dedication toward this commitment each and every day. I would like to thank our residents, community partners, other law enforcement agencies, and all of the individuals who assist us in our mission. I am committed to ensuring our employees are given the required resources to successfully do their jobs, such as training, new technology, vehicles, and other equipment. The Port Washington Police District needs your continued support in keeping all of us safe. Remember, Residents and Police are partners in solving crime; we welcome the information provided by the communities we serve. If you see something Say Something. If you hear something Say Something. Don’t wait, call 911. If you are unsure about whether to call, I encourage you to call 911. Chief James Salerno was born and raised in Port Washington. He attended Port Washington schools and graduated in 1977 from Schreiber High School. He is an exempt member of the Port Washington Fire Department and has worked as a Paramedic for NYC EMS 9/1981 – 12/1983. Chief Salerno received an Associate Degree in Nursing (Registered Nurse) from SUNY Farmingdale in 2001. Chief Salerno began his law enforcement career in January 1984 with the NYPD. He was hired by the Port Washington Police District on September 7, 1985 and assigned to the Patrol Division. In October of 1990, Salerno was assigned to the Detective Division where he investigated juvenile and adult crimes. He remained in that position until April 1, 1994 when he was promoted to Sergeant and returned to Patrol. In October of 2000, Salerno was promoted to Lieutenant. 30 days later, he was transferred to Administration. In 2004, Salerno was designated Assistant Chief. 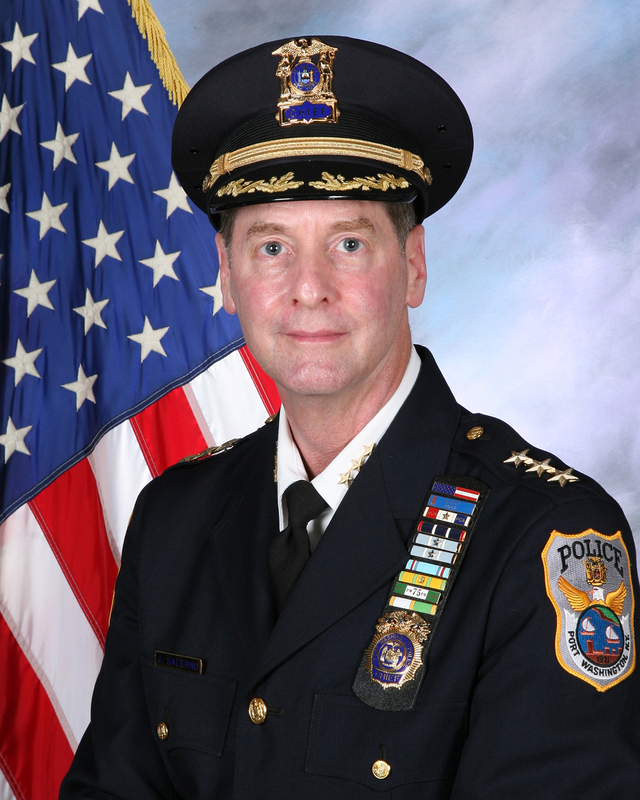 October 16, 2014 Promoted to Chief of the Port Washington Police District.